1824 Corn Rent map showing the plantations at Moor Hall. Shepherd’s Pool is on the right, at the junction of Weeford Road and Little Sutton Road; the belt of trees near the top of the map can still be seen alongside Sharrat Field. When the newly-created town of Sutton Coldfield became the owner of Sutton Park in 1528 the Park was put to use. The woody areas were fenced so that they would produce good timber and the rest of the park was used as rough grazing. The coppices in other parts of Sutton which had been a valuable resource for the inhabitants - Hillwood, Signal Hayes, Eachelhurst Coppice, Bradnocks Hayes, Withy Hill, Hawksnest, Roughley Coppice and Lindridge Coppice - were now superfluous and gradually reverted back to open commons. The Sutton Park woods met local needs for woodland products until the end of the eighteenth century. It was then fashionable for landowners to make new woods, called plantations. They felt it was their patriotic duty provide for the future needs of the country and keep the navy supplied with warships, they calculated that the eventual timber harvest would more than repay the expense, they saw that plantations could enhance the landscape of their grounds and conceal vulgar sights, and they foresaw better hunting and shooting. Canwell Hall and Little Aston Hall were soon surrounded with plantations, and Francis Hackett at Moor Hall, Sir Edmund Hartopp at Four Oaks Hall, and Charles Chadwick at New Hall followed suit - by 1824 there were over fifty acres of plantations in Sutton, mostly narrow belts of trees at the edges of the parkland. 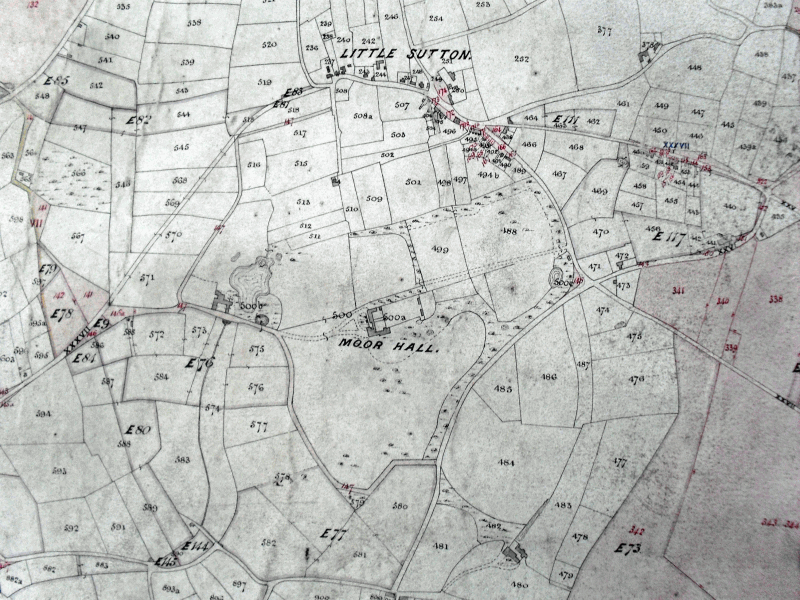 By 1856 Sutton’s extensive commons had been divided up between private owners and brought into cultivation. Sixty acres of the former commons were described as plantations. These were not ornamental - they occupied square fields and the trees were regarded as a crop which would give good returns in due course. Many of them had been planted on the Rector’s land - he had over 500 acres and could afford to wait for his profits until the trees were mature. The Corporation had a 10-acre plantation near the junction of Worcester Lane and Hillwood Road; this plantation is still there, a dense conifer wood, but it was originally planted with oak trees. Over five thousand cubic feet of timber were needed in constructing the railway line to Sutton in 1862, but no local trees were used - it was all Baltic timber imported from Lithuania. 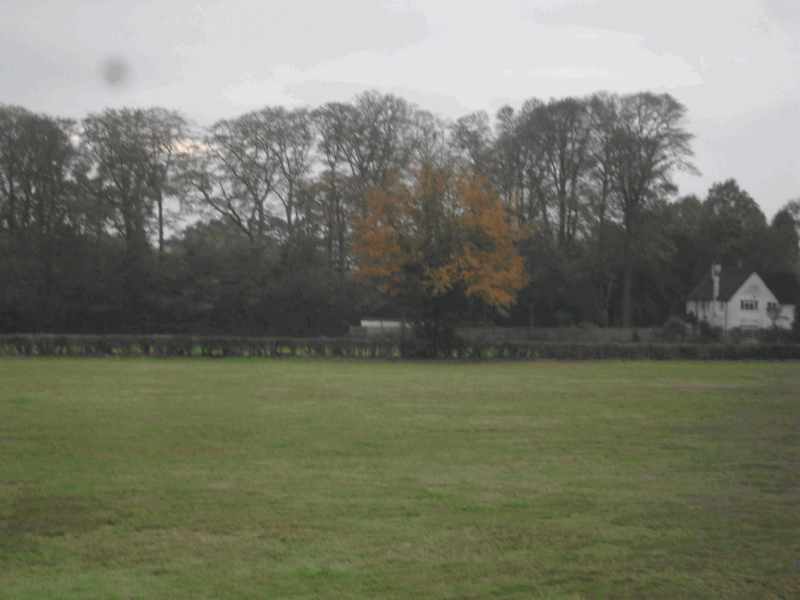 200-year-old beech trees, part of a small plantation in the grounds of Ashfurlong Hall, seen from Weeford Road.